Are you preparing to launch a new camp or program? Or maybe you’ve already launched, but your efforts aren’t generating the enthusiasm you’d hoped for. 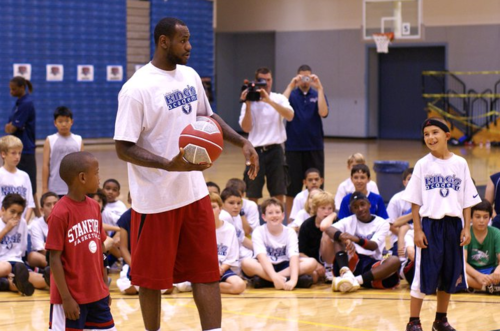 Lebron James runs a basketball camp. I know that might not come as shock to people that “The King” uses his celebrity to promote a sports camp as he does Nike, Sprite, McDonald’s, State Farm Insurance, Beats by Dr. Dre headphones, and his own cartoon show “The LeBron’s”, but the story here is less about Lebron’s fame as it is about social medias appetite for content surrounding activities they love and want to participate in and the network effect it creates. Recently Lebron posted a picture of him at his basketball camp along with a link to the camps website to sign up for camp. Within less than 1 hour there were over 5,700 likes and 1,800 comments about the picture and Lebron’s camp. Now here is where the network effect comes in… the average facebook user has 130 friends in their network and when they “liked” or commented on this picture their entire network was notified, extending the reach to another 947,744 people, bringing the total number of people engaged to over 1 million. Put this network effect to work for your camp, share pictures and stories of what’s going on at your camp with links to access your website and registration pages. By the way If you happen to have Lebron James or another famous athlete at your camp, be sure to include them as well. As we are entering the new “Thank You Economy” camps should look to what opportunities are available to increase exposure and campers through their social media outlets such as Facebook. The key here is not just to get them to see your Facebook page but to “like” your Facebook page. This “like” will in turn allow you to share continued content with your new “fan” through their Facebook wall. Traditional media outlets such as direct mail or print have a one-time shot to grab the reader’s interest, Facebook allows you multiple opportunities to engage your audience with several mediums such as pictures, videos, stories and more. Large companies such as Taco Bell have used free products to earn “likes” on Facebook recognizing that getting to reach out to a core group of customers over and over again for free has a very real value. 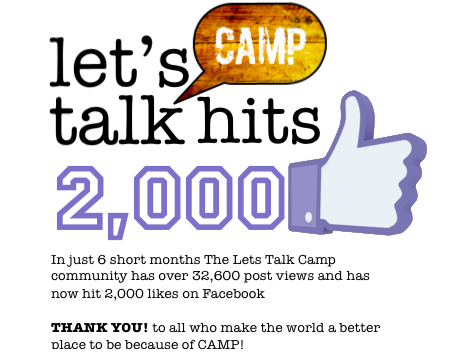 Camps can run “like us “ campaigns through their existing Facebook fan base by asking them to “share” the site with others, their mailing lists by encouraging “likes” on Facebook with offers of camp merchandise or discounts or by just word of mouth. Be sure to run campaigns like these for limited times so not to fatigue your audience.